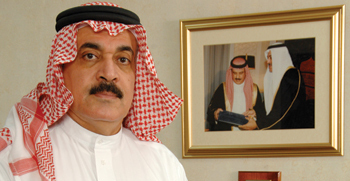 EVEN as Bahrain National Gas Company (Banagas) clocked a fairly satisfactory performance during the year 2014 with net sales revenue touching $282 million and operating expenses 4.2 per cent lower than the budget allocated, it however, sees a challenging year ahead primarily due to the sudden sharp drop in oil prices since last six months. “During 2014 the company’s operational and financial performance was highly satisfactory as the net sales revenue reached $282 million with key performance indicators met or exceeded. It is also worth noting that the operating expenses were 4.2 per cent lower than the budget allocated for 2014. Due to the sudden drop in the oil prices, 2015 will be a challenging year for the company. Major decisions regarding cost reduction and waste elimination will have to be taken without jeopardising safety and operational integrity,” says Dr Sheikh Mohamed bin Khalifa Al Khalifa, the chief executive of Bahrain National Gas Company (Banagas) in an exclusive interview with OGN. “Due to the decline in oil prices we have to ensure that all our operations are performed with high efficiency and effectiveness in order to eliminate wastage of resources. With respect to the new gas plant expansion, we have coordinated with nogaholding and Tatweer Petroleum to ensure that all necessary steps to increase productivity and reduce cost are taken into consideration. At a critical time like this, we need to be sure that all aspects such as technical knowledge, project financing and human resources with the right skills are readily available for the success of the project,” Dr Sheikh Mohamed adds. How were the operational and financial results for Banagas 2013? Please give the company’s current turnover, profits and revenue earned in 2014 and what is the market outlook for 2015? During 2014 the company’s operational and financial performance was highly satisfactory as the net sales revenue reached $282 million with key performance indicators met or exceeded. It is also worth noting that the operating expenses were 4.2 per cent lower than the budget allocated for 2014. Due to the sudden drop in the oil prices, 2015 will be a challenging year for the company. Major decisions regarding cost reduction and waste elimination will have to be taken without jeopardising safety and operational integrity. What is the latest progress update on Banagas’ current and future gas projects? What were the new projects/contracts signed during the year? Please give details. In 2014 the Central Gas Plant-1 (CGP-1) debottlenecking project to enhance propane recovery and plant performance was successfully commissioned as was the performance test for Compressor Station 9. The company continues to liaise with the National Oil & Gas Authority (Noga) and together we are working on plans for construction of new Centralised Single Train “deep cut” gas plant of 350 million standard cubic feet per day (mmscfd) capacity in order to take advantage of the increased associated gas that is being injected in the reservoir by Tatweer Petroleum allowing increase in oil production. This further enables extraction of liquid products from the produced gas. The new gas plant is expected to be operational by end of 2018. What is your gas production and consumption forecast for the next five years for Bahrain? Bahrain produces approximately between 1.2 to 1.5 billion standard cubic feet per day (bscfd) of natural gas plus 265 mmscfd of residue gas produced from Banagas liquefied petroleum gas (LPG) plant which is consumed domestically, mostly for power generation. 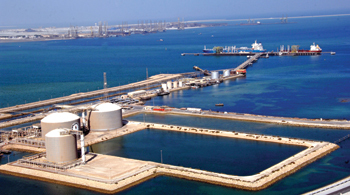 Bahrain should be able to meet their needs for fuel gas for the next 18 years. What are the major challenges you will be facing over the next years? Due to the decline in oil prices we have to ensure that all our operations are performed with high efficiency and effectiveness in order to eliminate wastage of resources. With respect to the new gas plant expansion, we have coordinated with nogaholding and Tatweer Petroleum to ensure that all necessary steps to increase productivity and reduce cost are taken into consideration. At a critical time like this, we need to be sure that all aspects such as technical knowledge, project financing and human resources with the right skills are readily available for the success of the project. How does Banagas ensure quality in its operations? The company has implemented several initiatives to enhance and ensure operational quality. A team of well-trained and highly qualified employees monitor the operating parameters of the plant by following effective operating procedures to make sure that they comply with quality control requirements. By establishing key performance indicators (KPIs) and complying with the ISO 9001 requirements (Quality Management System) we ensure that highest standards of plant operations are maintained. Some of the major achievements for 2014 were optimum utilisation of feed stocks, successful commissioning of CGP-I debottlenecking project, completion of Feed work for conversion of CGP-I control system to DCS and migration to the new control room, and maintaining certification to ISO 9001, OHSAS 18001 and ISO 14001. In 2014, Banagas received various awards such International Safety Award with “Merit” from British Safety Council (BSC), “Industry Sector Winner Award (Oil & Gas) for occupational health and safety from the Royal Society for the Prevention of Accidents (Rospa), “First Place Division II” Award from GPA-USA, “Occupational excellence achievement” Award from National Safety Council of USA, and the Perfect Record” Award from GPA-USA. How is Banagas addressing environmental concerns associated with gas production? Over the years, the company has made considerable efforts in addressing environmental concerns arising from processing flammable gases. We have ensured that all employees of the company strictly adhere to the safety, health and environment (SHE) policy and procedures. All necessary precautions to prevent damage to the environment are in place. Additionally we have signed an Environmental Compliance Plan in which actions to resolve all applicable environmental regulations are addressed and committed. The company ensures strict compliance with Ohsas 18001 (Occupational Health and Safety Assessment Specification) and ISO 14001 (environmental management system) requirements. Additionally, all designs of our new facilities are in compliance with the kingdom’s environmental regulations and standards. During the year 2014, the lining of the weathering pits of CGP-1 and CGP-II was completed successfully. In order to meet ministerial order no 10 of 2006 and as per approved Banagas Environmental Compliance plan, a Continuous Emission Monitoring System (CEMS) for Compressor Station-4 was installed and commissioned successfully. We are currently working for installation of a similar system at CGP-I. Banagas has successfully completed replacement of mercury vapour light fittings with high pressure sodium light fittings at Sitra storage area. Replacement at all other remaining facilities is currently in progress. Extra measures are taken to encourage the involvement of all employees of the company in complying with the SHE policies and procedures by hosting annual SHE Week in order to create safety, health and environmental awareness. What role will Banagas be playing with Tatweer Petroleum? Both the companies, Banagas and Tatweer Petroleum have clear lines of communication in order to ensure smooth delivery and optimum utilisation of field associated gas. A well-established technical committee between both companies manages field operations and work together to avoid unplanned interruptions. Additionally, both companies synchronise their planned maintenance work to avoid/reduce gas flaring or venting. In order to contribute positively to the growth and development of the kingdom, regular meetings are held by the associated gas cooperation committee to discuss future development projects.